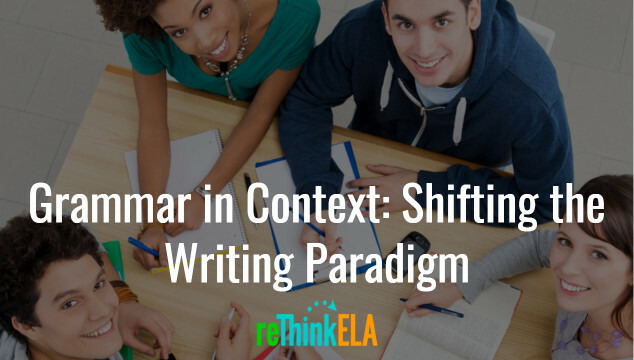 Thank you for joining us in our Grammar in Context: Shifting the Writing Paradigm email series! We’ll send you an email every week with tips and theories about how you can change how you teach writing — and grammar in particular — so that your students will see its value in their lives. We’ll also keep you updated on the status of our Grammar in Context 6-12 grade unit series. Your first email should already be in your inbox. Go check it out! Stay Up-To-Date With reThink ELA Resources. Join Below!